Still summertime. A great chance as a young guy to make lunch, right after waking up. . . turn on the radio, and hear the voice of Paul Harvey, who had his world-famous, "The Rest of the Story." I was amazed to see how he reported stories that always had an interesting twist at the end or an amazing conclusion. Today as well we can hear the, "rest of the story." The third of three great miracles happens in the Gospel of Matthew. First, our Lord multiplies loaves and fishes - - - much better than the devil's temptation to turn stones into bread! Second, our Lord walks upon the water - - - much more effective than the devil's taunt to throw himself down from the temple! Interesting how our Lord was initially tempted by the devil in similar things, but surpassed them in His infinite power and love. Well, we're still missing a third temptation of the devil - - what is it? He leads our Lord up a very high mountain, shows him all the kingdoms of the world, those beyond Israel and Judah, and says, "All of these I shall give to You, if You will prostrate yourself and worship me." Our Lord does not worship the devil, for Jesus is the King of kings, of all kingdoms of the earth! And so, what do we see today? No, rather someone from the other kingdoms falling down and worshipping our Lord! Jesus has turned the devil's temptations upside-down. Our Lord reveals a precious truth in the readings today - - - He has come not just for the house of Israel, but for all! We are part of His plan of salvation. We are mentioned in the readings today! 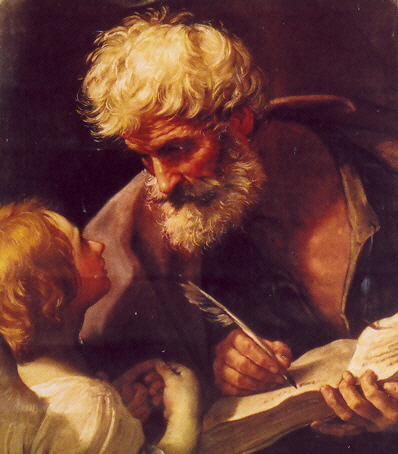 St. Paul speaks not only to the Romans, but to us, in his letter - - - "I am speaking to you Gentiles," us! And the woman? Is she part of the plan? The woman is calling out to him - - - Lord, help me. Response? I was sent only to the lost sheep of Israel. It is not right to take the food of the children and throw it to the dogs. What's that all about? Did God just insult somebody? Most would have responded indignantly to such a statement by our Lord. . . does the woman? No, she persists in humility - - - Please, Lord. I shall take whatever scraps you let fall from the table . . . just help me. The Old Testament says you call all peoples to Your Holy Mountain, Lord. I'm here, responding to your call, and so I'm asking, and I will keep asking! And it doesn't go un-noticed. Woman great is your faith! Let it be done as you wish. The Canaanite, representing a nation hated by the Jews, was shown compassion by a Jew, our Lord. . . and so He shows, He has come not only for the Jews . . . one could argue that, of the past three miracles we've heard over these past three weekends, this woman exemplified the greatest faith, the greatest perseverance, the greatest prayer. . .
A lesson for us. . . When we pray, and I mean really pray, do we realize what can happen? Do we realize that God wants us to pray with such faith, and that He actually will respond to our prayer? Do we really believe this? Do we really believe that loaves can be multiplied in abundance, that one can walk on water, that a daughter can be healed from possession? Then why couldn't we believe in the power of our own prayer? Well, I'll tell you, Father, I've prayed about X and Y through my life, and He's never responded to those things! If it seems not, we need to ask ourselves - - - 1) are we praying with the faith of the Canaanite woman? Could we reach out with even greater confidence in our Lord? 2) have we indeed experienced His response to our prayer, but in a way other than what we would have expected? Sometimes God really does know better. 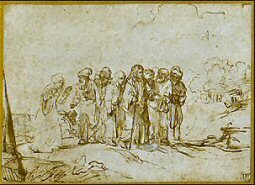 . . 3) Perhaps we should look at the Canaanite woman again. . . what are the first words out of her mouth? "Help me?" No. "Have pity on me, Lord, Son of David!" She asks for pity, she asks for a share in God's abundant mercy before she makes her brave and humble request. How do we begin Mass? To prepare ourselves for the sacred mysteries, we call to mind our sins and turn to our merciful Heavenly Father - - - we ask God's forgiveness. And then we offer Him our homage, our praise, our petitions, our request that bread and wine become the Body, Blood, Soul and Divinity of the One who healed a Canaanite woman's daughter 2,000 years ago. mercy opens the door - - - and then we step forward and pray with all boldness! Lord, help me! By His very nature as our Loving Father, He will listen, as He is doing so right now.